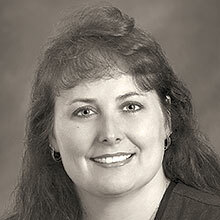 Chimene Dahl, MD, earned her medical degree from University of North Dakota School of Medicine. She completed her residency program with Uniformed Services Residency in Obstetrics and Gynecology in Washington, DC and served twelve years in the United States Army. Dr. Dahl joined Billings OB-GYN Associates in 2003. Dr. Dahl and her husband Matt have two sons, Connor and Landon. Dr. Dahl is a sports enthusiast and she particularly enjoys hockey. In her spare time, Dr. Dahl loves to read and spend time with her children.